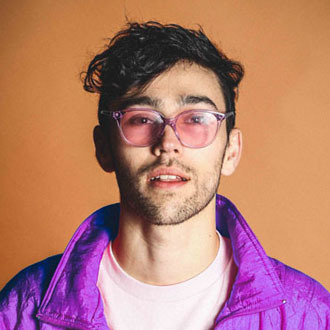 During the past few months, MAX (whose full name is Max Schneider) has emerged as a rising pop singer/songwriter due to the breakout success of his hit single, “Lights Down Low” (featuring gnash). This song (written by MAX, Nathaniel Motte & Liam O’Donnell) recently reached the Top 20 of the Billboard Hot 100 chart, and it’s been certified gold by the RIAA in the U.S. The success of “Lights Down Low” has been propelled by an excellent video created for the song. The video, which now has 27 million views on YouTube, has a unique concept of a young couple who fall in love and marry, and then live together for the rest of their lives. The video, which is shot in their bedroom, shows the couple growing old together over a span of decades. “Lights Down Low” was originally released in 2016 on MAX’s album, Hell’s Kitchen Angel. This was the first album by MAX released on DCD2 Records (a label owned by Pete Wentz & Patrick Stump of the hit rock band, Fall Out Boy). It’s impressive that “Lights Down Low” has become a sleeper hit, slowly moving up the charts since its release as a single over a year ago. MAX grew up in Woodstock, NY, and he is known as a singer, songwriter, actor, dancer and model. When he was a teenager, he performed in a Broadway musical and modeled with Madonna for an international ad campaign. As an actor, he starred in the Nickelodeon TV series How to Rock, and in the Nickelodeon film, Rags. Then as an artist, he recorded & released a couple EPs prior to signing with DCD2 Records. We are pleased to do this new Q&A interview with MAX. He tells how he co-wrote “Lights Down Low,” and he discusses the song’s video and his album, Hell’s Kitchen Angel. DK: How did you get started with music and writing songs? MAX: I started mostly writing songs in my head without any instruments at a young age. It was always about the topline and story for me from the beginning. I’d write stupid songs about throwing rubber bands out the window on school trips when I was in first grade and it sort of evolved from there. DK: How did you hook up with Fall Out Boy and decide to sign with DCD2 Records? MAX: I was always a massive Fall Out Boy fan, still am of course. I was obsessively listening to “Dance, Dance” with my friends the second it came out, and I’ve always been very passionate about their songwriting style and risks they’ve taken. Pete (Wentz) started noticing my music through a few mutual people we know and invited me to a show of theirs. My friends and I all went and he asked to be a part of the family, and it was a real no brainer for me. DK: I like your song, “Lights Down Low.” What inspired you to write this song, and how did you connect with gnash? Here’s the video of MAX’s hit single “Lights Down Low” (feat. gnash). MAX: Glad you dig it. I actually wrote it with two amazing guys, Nathaniel Motte and Liam O’Donnell. I had just started dating my now wife (Emily) and just wanted to create something special for her, so we wrote this song and I actually proposed to her with it. I had been friendly with gnash for a while and the song had been out for a bit, so I wanted bring new life to it. I could just hear gnash’s voice on it and we had been wanting to do collaborate in some way. So one day I called him and told him the story behind the song, and a few hours later he had written and recorded the verse you hear on the track. It was a magical moment you just can’t recreate. DK: Your video for “Lights Down Low” is unique and artistic. How did you decide to create this video concept? MAX: That means the world, thank you! The directors Jade Ehlers and Brendan Walters are both guys I have done a lot of videos with, so we’re all really comfortable with each other. They had the idea of this one-shot bed concept and I knew that was the perfect move, so we all sort of dove in and wrote the story together over the course of a few months. The ending was something we all really fought for. A lot of people told us “This is such a happy song, why give it such a sad ending?” [But] we really all believed in keeping the story real because thats love and life. The beauty lies in knowing it will end at some point, and we have to soak up every little moment together. DK: You’ve released an album, plus some EPs and singles. For fans of “Lights Down Low” who want to explore more of your music, which releases or songs would you recommend they check out? MAX: I’ve really released one album, Hell’s Kitchen Angel, any other releases were just mixtapes and EP’s. “Lights Down Low” is a great representation of who I am, but I like to say it’s all a bit of an energetic, emotional party. “Basement Party” (from his album) is a great opposite representation of my repping of New York and the soulful, more energetic side of my music I’d say. And then in a very different way “Wrong” with Lil Uzi Vert kind of gives the full vision of my vibe as whole. Between those three songs, you can pretty much understand who I am and what to expect at a live show or writing style-wise. DK: Will you be releasing more music soon? MAX: I’m almost done with my second album, and I’m insanely excited about it. The next main release will be a song about my hometown of New York City and what it means to me to rep everywhere we get to travel in the world. Joey Badass, who I’ve been wanting to collaborate with forever on a song together, is a part of that record as well. So look out for “Still New York” coming soon, along with some really exciting [feature performances] with my friends Matoma and Louis The Child.